The Historical Volume of what was originally called "Reformed Dogmatics" now appears with a new title, namely, History of Christian Doctrines. Works on the gradual development of theological truth in the Church of Jesus Christ usually appear alongside of those which deal with the systematic reproduction of it, and thus stand out as separate works. It was thought best to follow this practice, since this will stress the fact that after all the history of the development of Christian thought in the Church is a separate study. But while it is a separate study, it is not one which students of theology can afford to neglect. The study of doctrinal truth, apart from its historical background, leads to a truncated theology. There has been too much of this in the past, and there is a great deal of it even in the present day. The result has been the lack of a sound understanding and a proper evaluation of the truth. There was no appreciation of the fact that the Holy Spirit guided the Church in the interpretation and development of the truth as it is revealed in the Word of God. The checks and the roadsigns of the past were not taken into consideration, and ancient heresies, long since condemned by the Church, are constantly repeated and represented as new discoveries. The lessons of the past are greatly neglected, and many seem to feel that they should strike out entirely on their own, as if very little had been accomplished in the past. Surely, a theologian must take account of the present situation in the religious world, and ever study the truth anew, but he cannot neglect the lessons of the past with impunity. 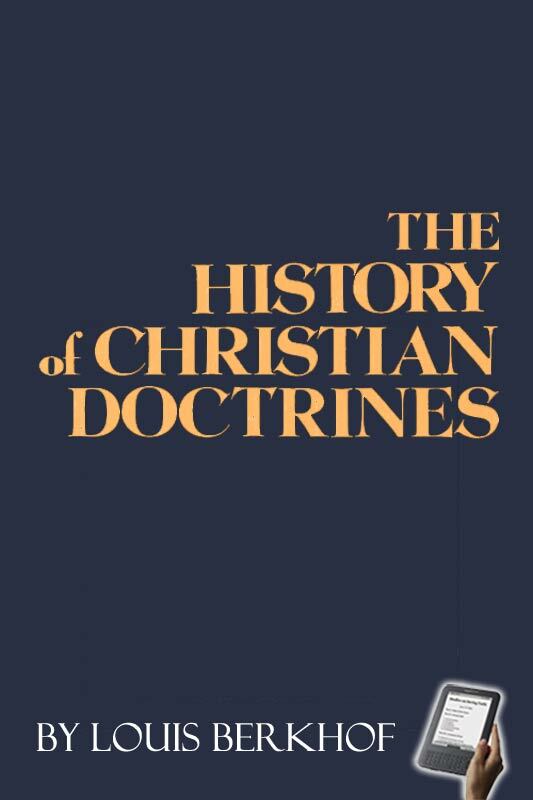 May this brief study of the history of doctrines serve to create a greater interest in such historical study, and lead to a better understanding of the truth.